Trailer Tow Wire Harness Kit for your 2008-2012 Liberty, with 7-way Round trailer connector, plugs directly into the vehicle wiring, no splicing required. I was able to install this myself, i didn't have to take it to the dealer. It installs quickly and no splicing is required. 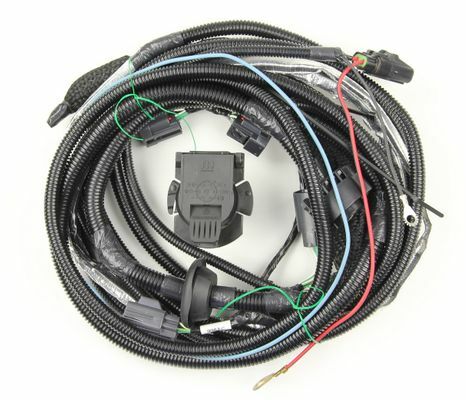 It connects directly into factory brake harness.